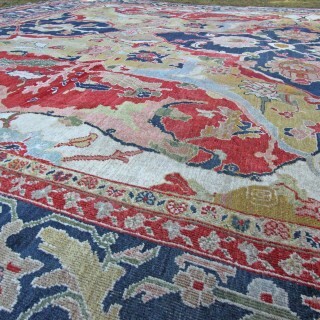 A very rare antique Ziegler carpet from the famed and world renown Ziegler & Co workshop in Sultanabad, Persia dating from 1883-1890. 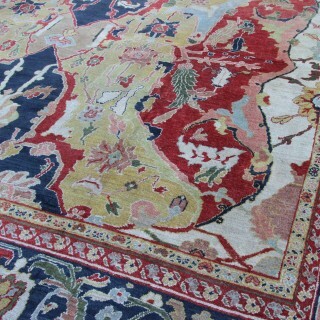 The reason this carpet is rarer than most antique Ziegler’s is the design is a copy of a 17th Century Polonaise carpet. 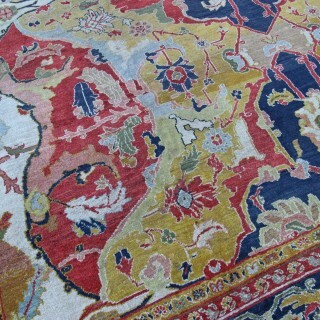 In over 25 years of working with antique carpets we have never come across one with this design before! We have struggled to find any other examples upon doing further research also. 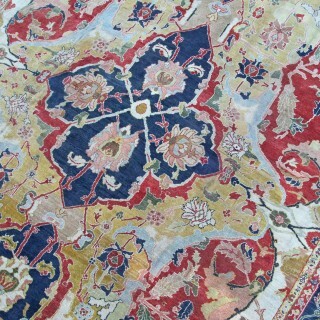 The colours are unbelievable with the pale blue/greys, warm reds, mustard yellows and ivory and blues. 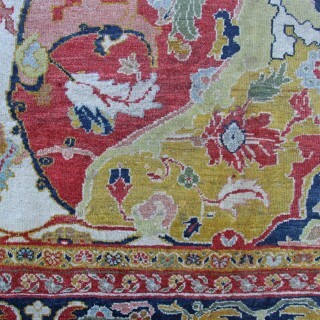 The Ziegler & Co workshop produced some of the best dyes of the late 19th century and they have faded and oxidised over the years adding tremendous character. 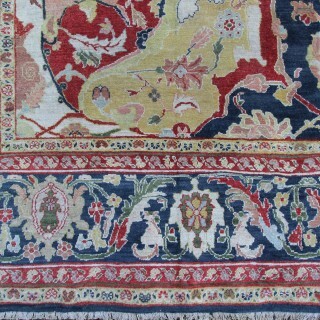 The Metropolitan Museum in New York exhibits rare 17th Century Polonaise carpets, it has a Polonaise carpet with the same design as our Ziegler we are offering here. 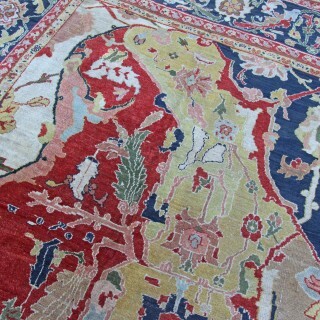 If you would like to request a home visit to view this stunning rare antique Ziegler carpet in situ at a convenient time please do, we love to travel and visit customers all over the UK. 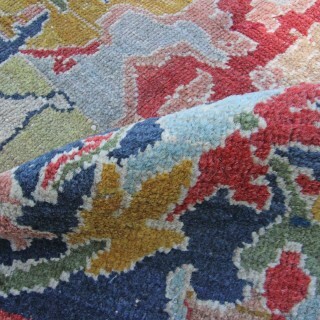 Alternatively please contact us to visit our barn showroom in Surrey to view this carpet. 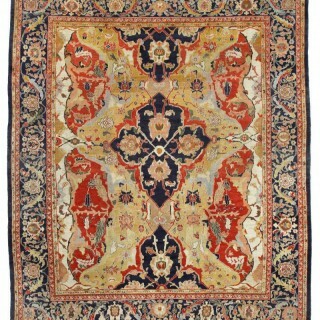 Further history about Ziegler carpets: In 1883, Ziegler and Co, of Manchester, England established a Persian carpet manufacture in Sultanabad Persia, which employed designers from major western department stores such as B. Altman & Co of New York and Liberty, to modify 16th- and 17th-century Eastern designs for the more restrained western taste. 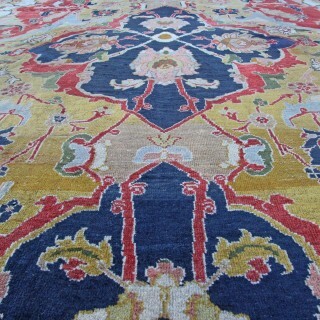 Using highly developed dying techniques, and the best artisans from the region, the Ziegler Co created rugs with beautiful, all-over patterns and with softer palettes than their vibrant Persian counterparts. 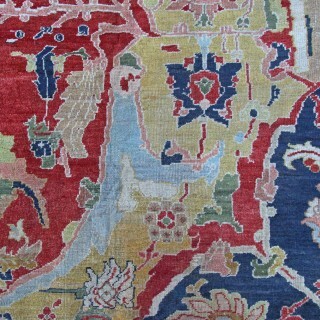 Ziegler rugs developed an almost immediate following in the late 19th Century, especially among early collectors which included the Guinness family, who laid them in Elveden Hall, their Suffolk estate. 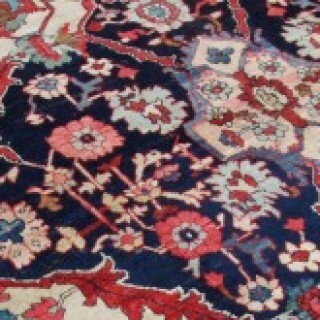 Ziegler carpets are one of the only types of Persian carpet which were influenced by western designs and have become one of the most sought after carpets in the world today. 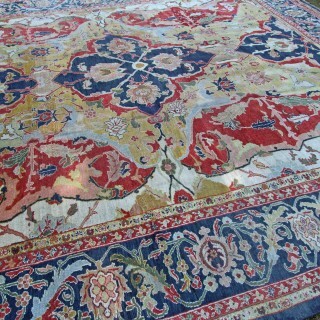 Woven around circa 1880 this large rare Ziegler carpet is in very good condition, the wool pile is medium high all over. There are some old small repairs which have been done extremely well. 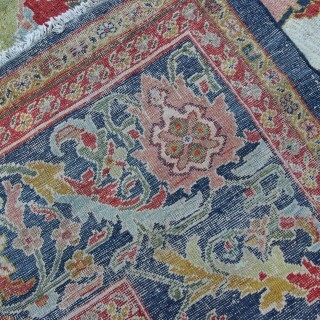 A few other areas of restoration have been undertaken to preserve the value and beauty of this exceptionally rare carpet. The fringes and sides have been secured and we have hand-washed this carpet which has softened the wool and freshened its appearance. 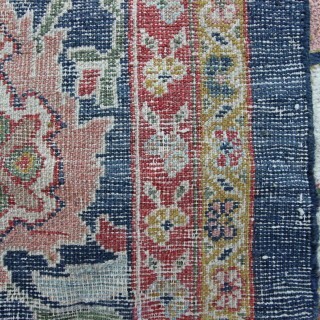 A wonderful durable carpet for the floor, which will last another 100 years.